Lemon GreenTea: "Raven" is seeking her true purpose in the "X-Men: Apocalypse"
"Raven" is seeking her true purpose in the "X-Men: Apocalypse"
It has been 10 years since the heroes of “X-Men: Days Of Future Past” saved humanity and themselves from threats within and without. Now, in “X-Men: Apocalypse,” things are – at least for people like Charles Xavier (James McAvoy) – a little more settled. Humanity is aware of the mutants living among them and relations have been, for the most part, peaceful. But all that changes when the ancient, incredibly powerful mutant known as Apocalypse (Oscar Isaac) awakens in the early 1980s and begins to destroy the world as we know it, convinced that he can create civilization again the way he thinks it should be. 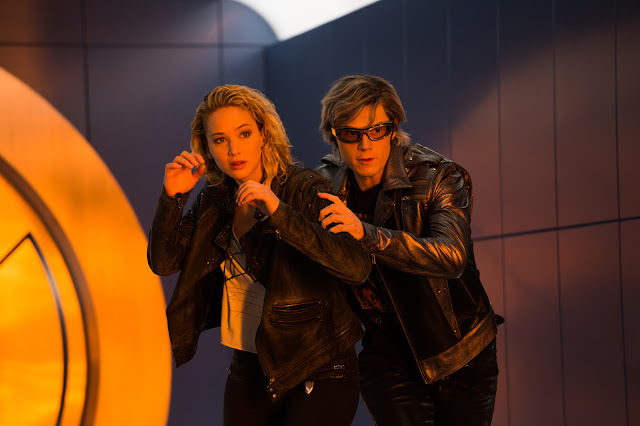 With Bryan Singer once more directing, “X-Men: Apocalypse” promises a huge global adventure and another thrilling mission for the world’s favorite mutants. The world of 1983 also has undergone upheavals in the treatment of mutants. This next stage of human evolution is now accepted by most—but not all—of humanity, thanks to the heroism of Raven/Mystique, who (as seen in “X-Men: Days of Future Past”) prevented the assassination of the U.S. president and a war between mutants and humans. 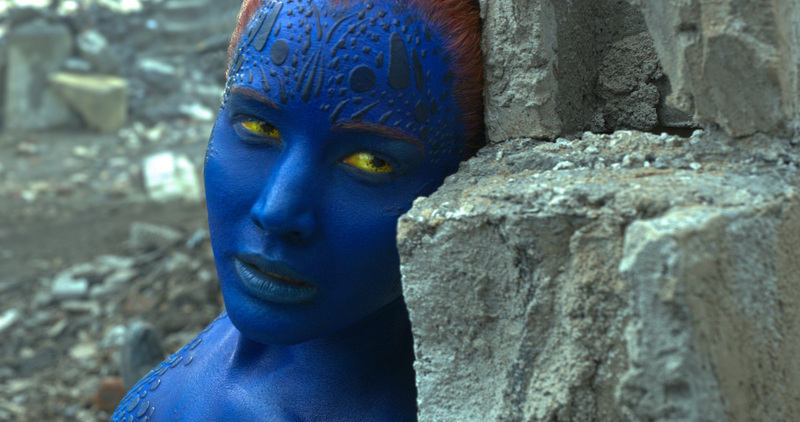 Jennifer Lawrence is back as Raven aka Mystique, a blue-skinned shapeshifter, is seeking her true purpose, as well as elusive self-acceptance. In the years leading up to “X-Men: Apocalypse,” she had tried to stay hidden from the world, shunning her celebrity as the face of hope and change for the new, mutant-integrated world. She resists bearing the weight of that label, and feels much of her past doesn’t warrant the world’s perception of her as a hero. Now, Raven is living by her own code and working independently as an underground mutant savior, to fight against the remaining instances of human exploitation of mutants and save those still being persecuted. 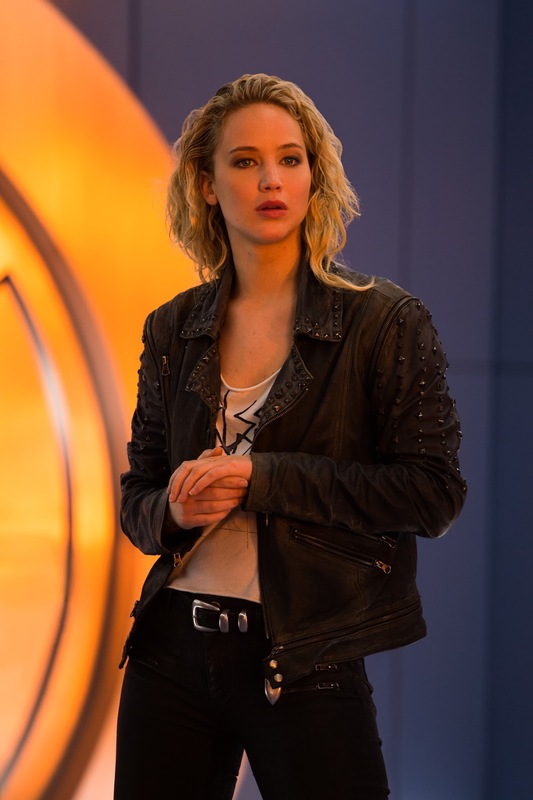 “The character is more ‘Raven’ than ‘Mystique’ in this story because she cannot be her true mutant self in a world that she feels is still not as mutant-friendly as it’s perceived to be,” says Oscar-winner Jennifer Lawrence, who first played the role in “X-Men: First Class” and then reprised it in “Days of Future Past.” “That’s why she has basically been Raven since the events of the previous films, so no one would know she’s that mutant. When we meet her in this film, she’s been living a covert life as Raven.” Raven’s mission to help mutants where she can culminates in her leading the X-Men in a massive battle with Apocalypse. But first she is reunited with the two men with whom she is closest, and with whom she shares a complex and evolving history: Charles Xavier (aka Professor X) and Erik Lensherr (Magneto). Raven and Charles have a long history together and were part of the original X-Men team. In the subsequent years they grew apart, separated by both distance and philosophies.